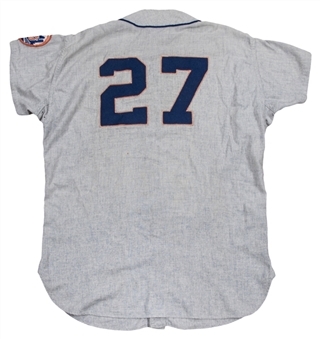 Larry Foss was a September call-up for the 1962 New York Mets, making his debut for the team on September 10th against the Milwaukee Braves. Foss appeared in five games for the Mets in what would turn out to be his second and final MLB season. 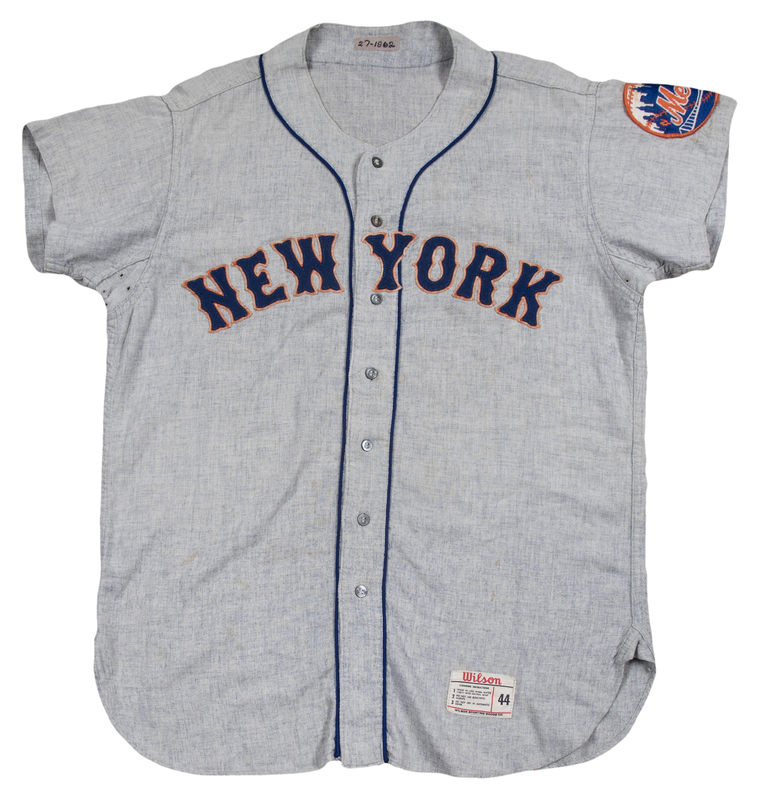 Foss wore this gray flannel Mets road jersey in 1962, during the franchise’s inaugural season. 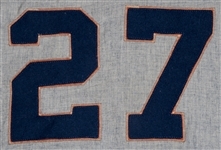 This jersey has “NEW YORK” sewn on the chest in blue felt over orange tackle twill, and Foss’ number “27” sewn on the back in the same fashion. 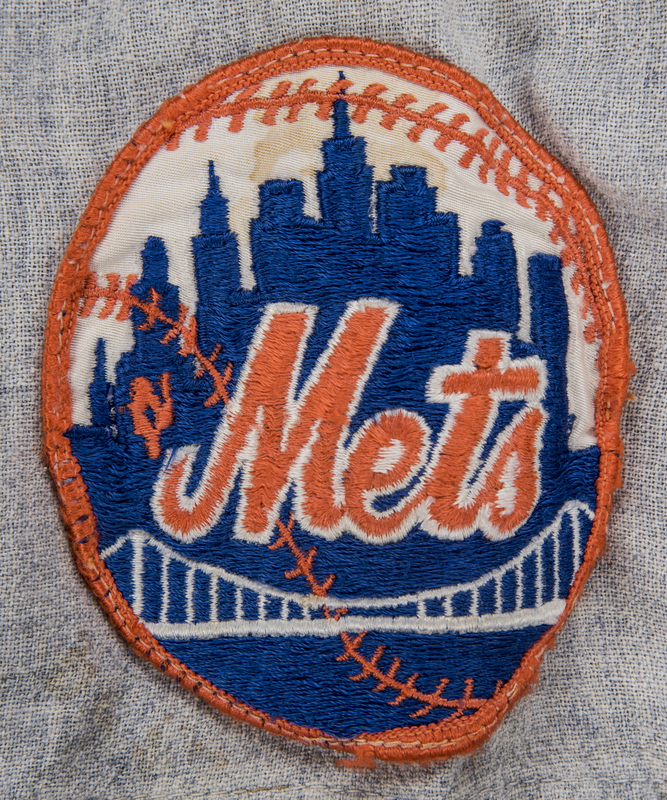 A Mets skyline logo patch is sewn on the left sleeve. Blue piping accents the chest and collar of this jersey. 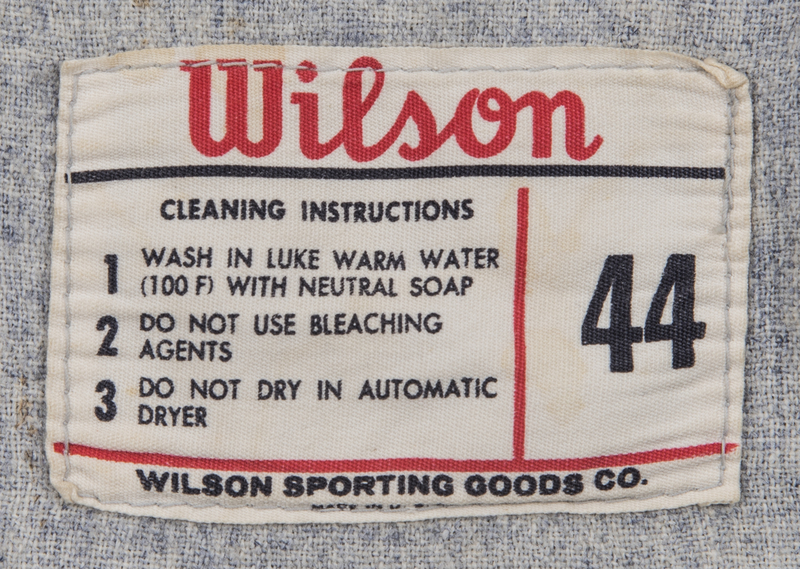 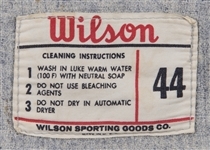 A “27-1962” tag is sewn on the back inside collar and a Wilson size “44” tag is sewn on the front left tail. 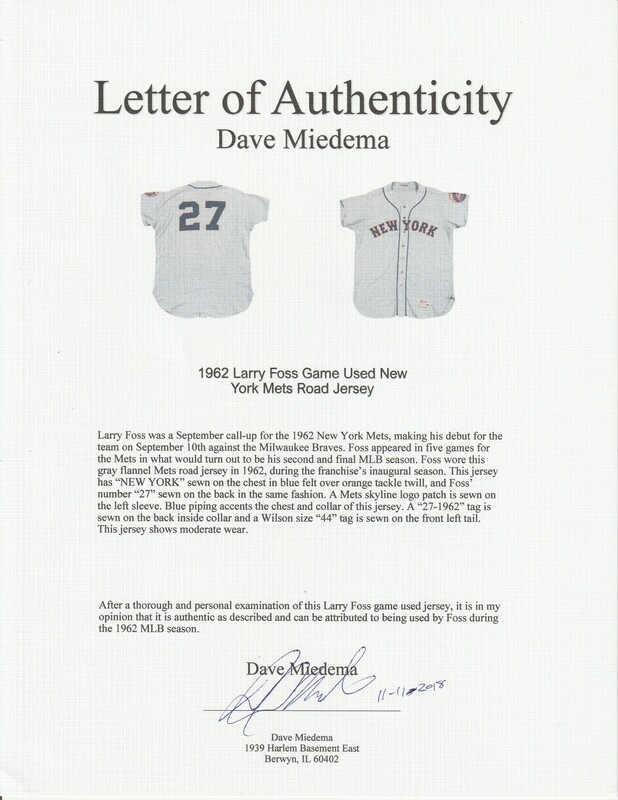 This jersey shows moderate wear and comes with a LOA from noted game used jersey expert Dave Miedema.